To compare and contrast the various body plans of lower chordates. 1. 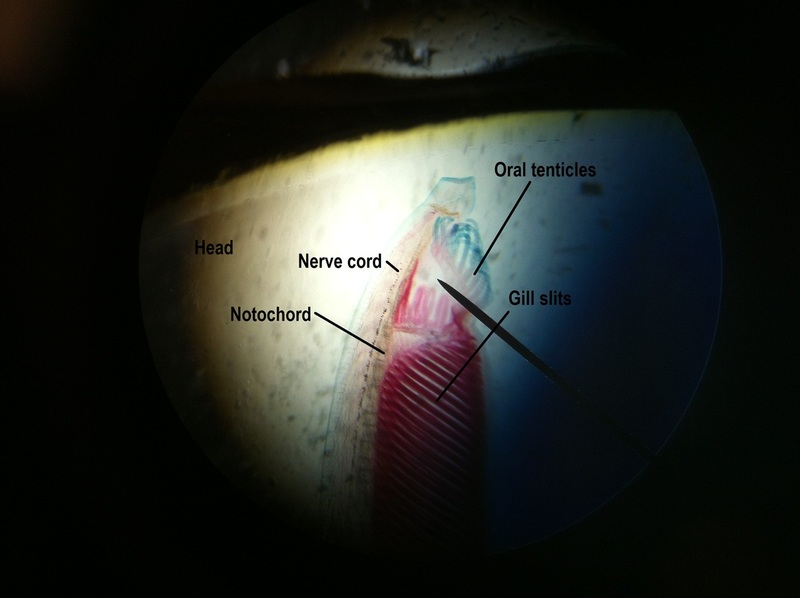 Use the microscope to examine and draw the Amphioxus and tunicate slides, labeling as many parts as possible. 1. Q: How are these 2 organisms similar and different? A: Similarities - Are motile. Have a nerve cord attatching to a simple brain. 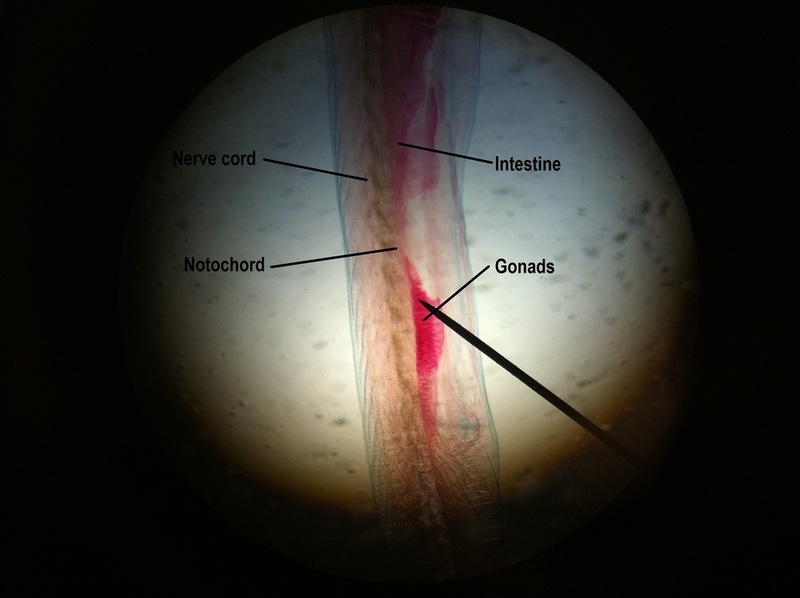 Have a notochord which acts as a spine. 2. 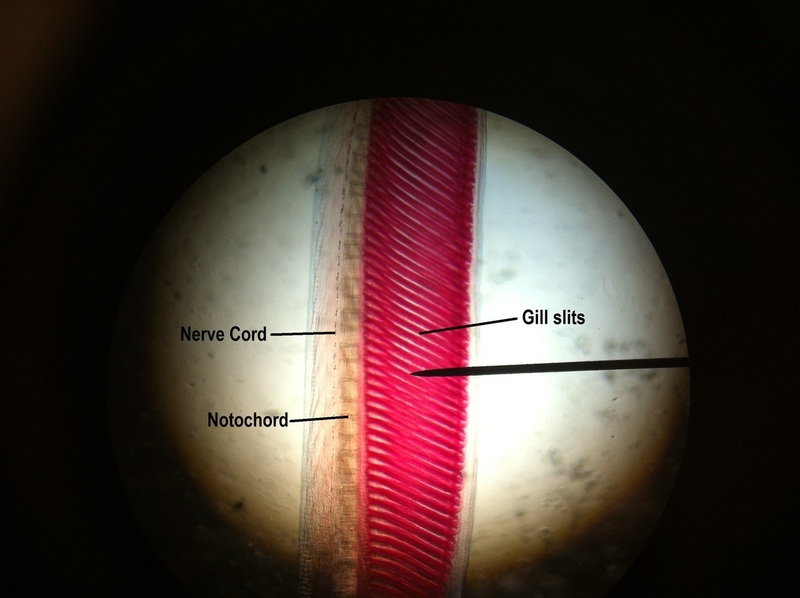 Q: Why is Amphioxus called the classic chordate? A: It is the only animal that has all the traits of a chordate. 3. Q: How does a tunicate larva compare to an adult tunicate? A: The tunicate larva is the motile form of the tunicate tha it uses for species dispersal. 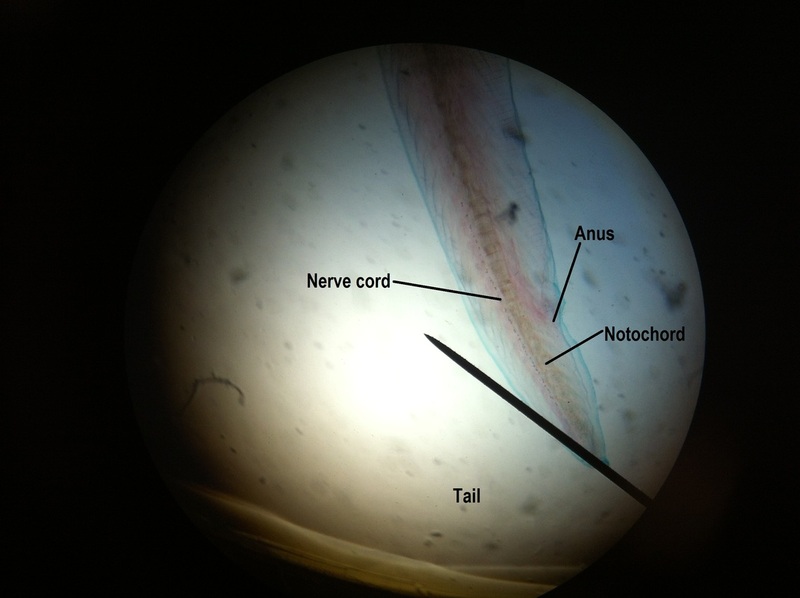 The larva also has a notochord, and when it becomes an adult, it loses its notochord. The adult tunicate is attached to the ocean floor, similar to that of a sponge or a polyp jelly. 4. Q: Why is the Acorn worm not considered an invertibrate worm? A: They have a circulatory system with a heart. They also have kidneys to filter the waste.